With that said, there will be 8 seats remaining for contention with the possibility of a few more depending on who withdraws from the top 14. Therefore, if you have signed-up HERE and you are not in the top 14 listed above, you will have to earn your spot by finishing in the top 8 of the Standings at the end of the Winter Series. - Main Race for Rounds 1 and 2: 1st = 25 points, 2nd = 18, 3rd = 15, 4th = 12, 5th = 10, 6th = 8, 7th = 6, 8th = 4, 9th = 2, and 10th = 1. - Sprint Race for Rounds 1 and 2: 1st = 15 points, 2nd = 12, 3rd = 10, 4th = 8, 5th = 6, 6th = 4, 7th = 2, and 8th = 1. - Round 3 Race: 1st = 40 points, 2nd = 30, 3rd = 25, 4th = 20, 5th = 16, 6th = 12, 7th = 8, 8th = 5, 9th = 2, and 10th = 1. - Tie-breakers: In the event of a tie in points, the driver with the most Main Race and Final Race victories will be the winner. If the tie persists, the driver witht he most second place finishes in the Main and Final races will be the winner, and so on and so forth. Sprint Races do not count towards a tie break. - Drivers will have to start the Main-Race on the same compound used to record their fastest lap time in Qualifying. This also applies to Round 3 race. - Drivers must use at least two out of the three available compounds during the Main Race and the Race in Round 3. - Drivers are free to use any compound during the Sprint Races. - Failure to comply with these regulations will result in the exclusion of the race results. 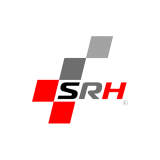 - RealRoad: Auto-Save up until the day before the race. After that, a grip file based on the Auto-Save file will be loaded at the beginning of each session. If you have any questions related to the Winter Series, please ask them on this thread. Thanks and see you all on track! In an effort to increase grid sizes and competition during this winter series, we will allow ranked drivers to participate in all events. However, they will be excluded from the results and standings table so that there's little interference to those drivers that are fighting for a regular seat this year (non-ranked drivers). - Pole Position: points will be awarded to the fastest driver that's outside the top 14, not to the ranked driver. - Fastest Lap: points will be awarded to the fastest lap made by a driver outside the top 14, not to the ranked driver. - Races: points will be awarded only to those drivers that are outside the top 14, not ranked drivers. Unfortunately, if a top 14 driver causes a non-ranked driver to retire from the race, there's nothing we can do about that. That is a risk we are willing to asume.